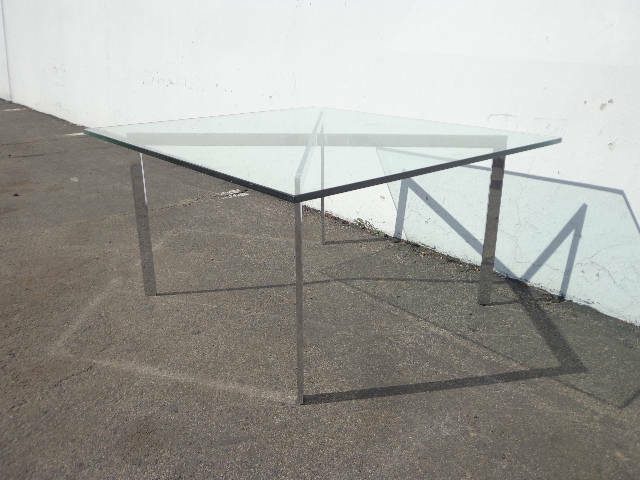 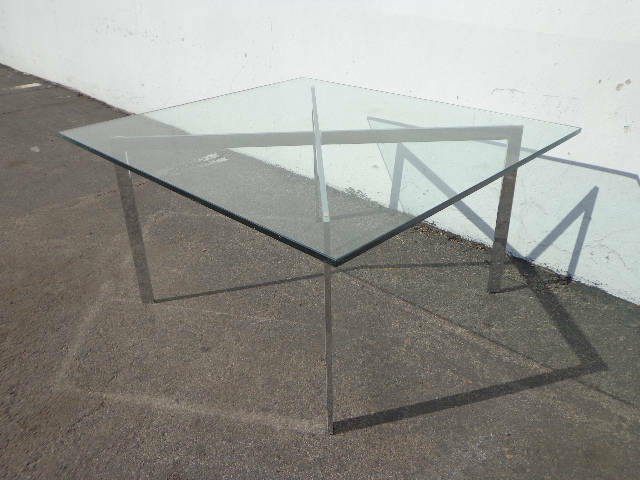 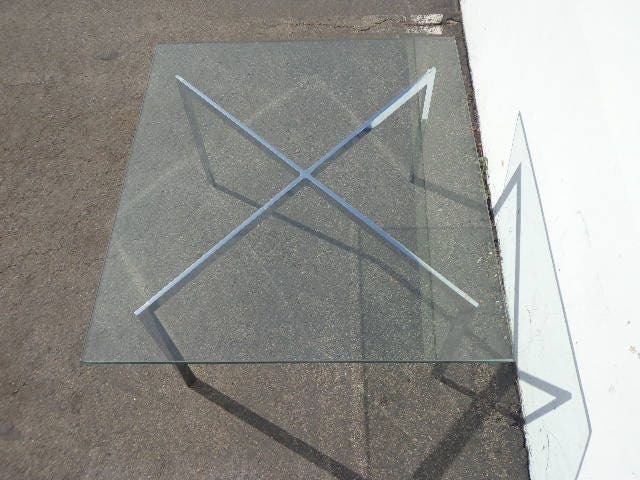 Fabulous Mid Century Chrome Coffee Table designed by Mies Van Der Rohe for Knoll. 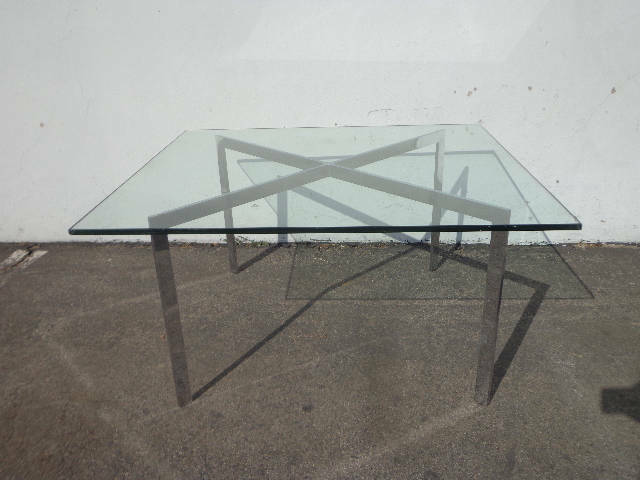 Vintage and fabulous coffee table with x frame in a chrome finish. 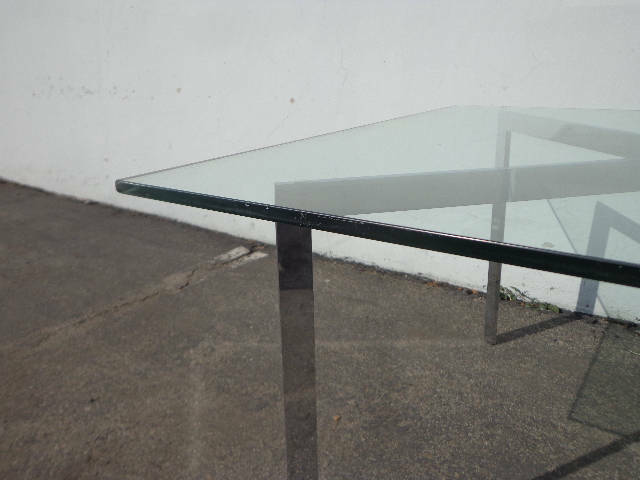 The glass table top is thick and perfect size for most spaces. 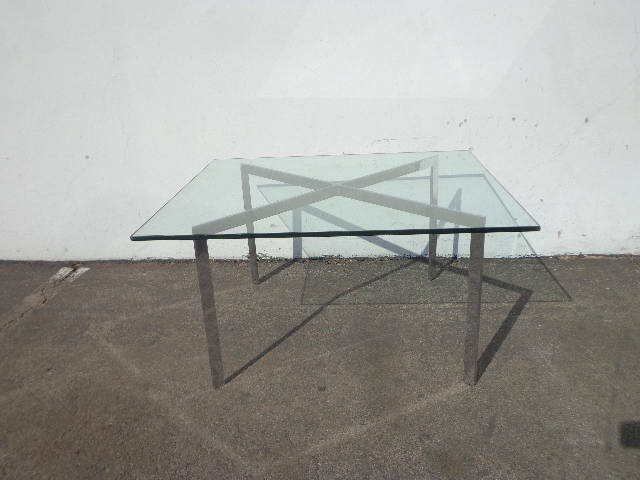 This is the perfect piece for any interior from vintage to modern. 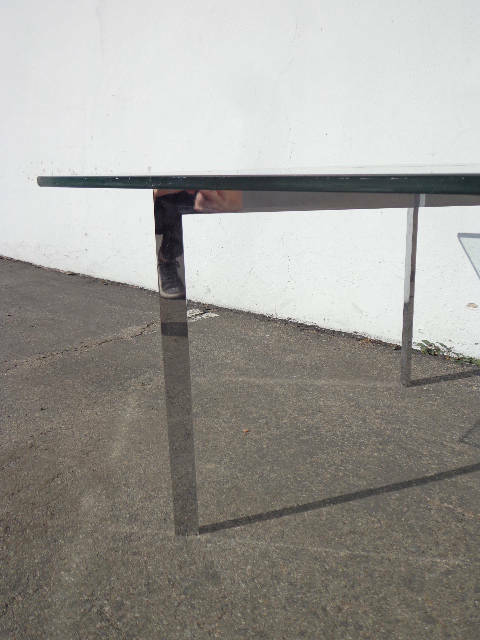 The table base shows surface wear from age/use. 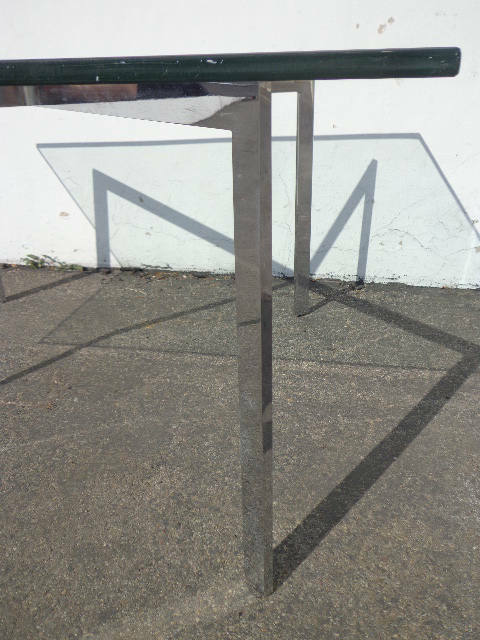 The chrome shows minor wear from age and use. 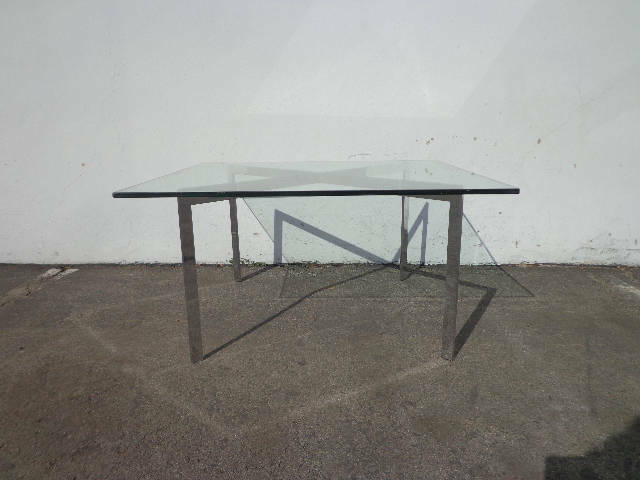 Good solid and sturdy frame. 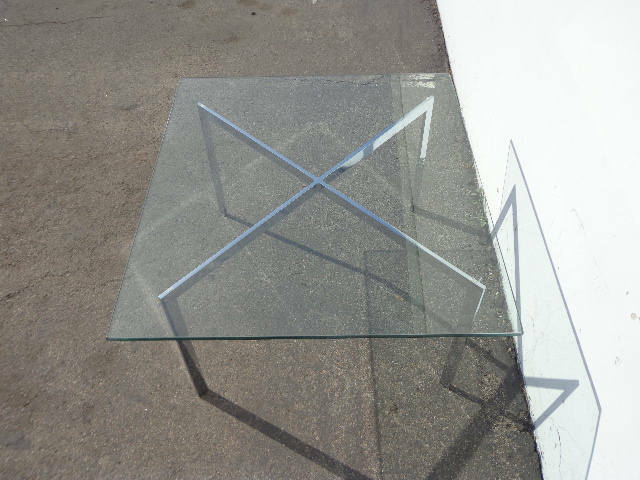 Dimensions: 35 3/4" x 32" x 18"